YouTube has been given a complete makeover by Google in a step that see's the website look more and more like Google's other services on offer while also offering deeper integration to the Google account. With a much cleaner design the homepage looks much more structered and less cluttered with a genre bar on the left hand side which lets people break down their searches into the types of video they're after. 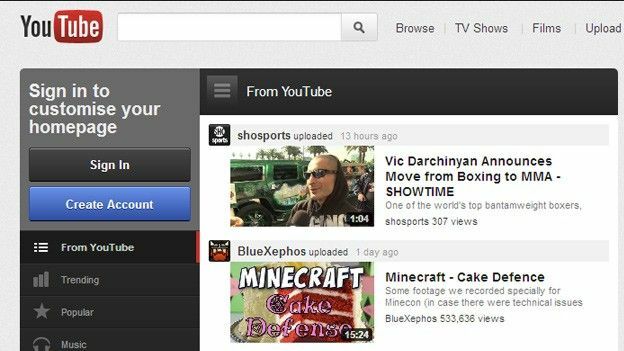 There's also been an addition of a Google Plus tab when logged in which lets users see what YouTube video's have been uploaded by people within their circles. As if that wasn't enough you can now connect it to Facebook as well letting you easily share video's you've seen and throwing them across to the social network.